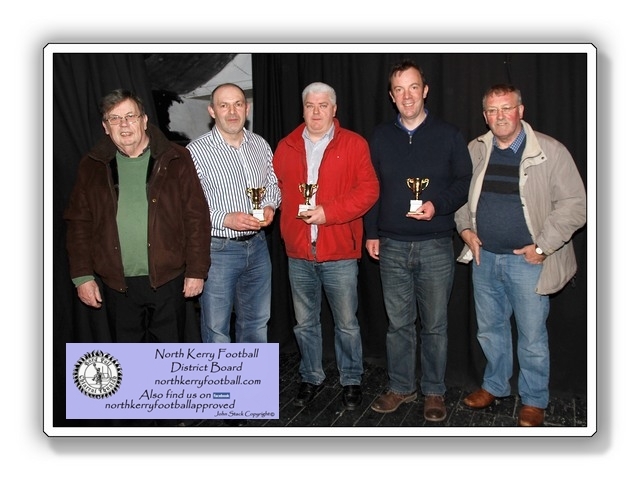 Tom O Sullivan Sponsor with members of Listowel Emmets Quiz Team who won the North Kerry Senior Scor 2013. Also on the right is Jack Hennessy North Kerry Culture Officer. Light Hard Ware-Blocks-Cement-Cattle Minerals-Cow Cubical.